4601101 MF 5275 MASSEY FERGUSON MF 5275 wheel tractor. Spare Parts Catalog. 4601102 MF 5285 MASSEY FERGUSON MF 5285 wheel tractor. Spare Parts Catalog. 4601103 MF 5290 MASSEY FERGUSON MF 5290 wheel tractor. Spare Parts Catalog. 4601104 MF 5310 MASSEY FERGUSON MF 5310 wheel tractor. Spare Parts Catalog. 4601105 MF 5320 MASSEY FERGUSON MF 5320 wheel tractor. Spare Parts Catalog. 4601106 MF 5335 MASSEY FERGUSON MF 5335 wheel tractor. Spare Parts Catalog. 4601107 MF 5340 MASSEY FERGUSON MF 5340 wheel tractor. Spare Parts Catalog. 4601108 MF 5355 MASSEY FERGUSON MF 5355 wheel tractor. Spare Parts Catalog. 4601109 MF 5360 MASSEY FERGUSON MF 5360 wheel tractor. Spare Parts Catalog. 4601110 MF 5365 MASSEY FERGUSON MF 5365 wheel tractor. Spare Parts Catalog. 4601111 MF 5410 MASSEY FERGUSON MF 5410 wheel tractor. Spare Parts Catalog. 4601112 MF 5420 MASSEY FERGUSON MF 5420 wheel tractor. Spare Parts Catalog. 4601113 MF 5425 MASSEY FERGUSON MF 5425 wheel tractor. Spare Parts Catalog. 4601114 MF 5425 Dyna-4 MASSEY FERGUSON MF 5425 Dyna-4 wheel tractor. Spare Parts Catalog. 4601115 MF 5425 Tier 2 Dyna-4 MASSEY FERGUSON MF 5425 Tier 2 Dyna-4 wheel tractor. Spare Parts Catalog. 4601116 MF 5425 Tier 3 MASSEY FERGUSON MF 5425 Tier 3 wheel tractor. Spare Parts Catalog. 4601117 MF 5430 MASSEY FERGUSON MF 5430 wheel tractor. Spare Parts Catalog. 4601118 MF 5430 Tier 3 MASSEY FERGUSON MF 5430 Tier 3 wheel tractor. Spare Parts Catalog. 4601119 MF 5435 MASSEY FERGUSON MF 5435 wheel tractor. Spare Parts Catalog. 4601120 MF 5435 Dyna-4 MASSEY FERGUSON MF 5435 Dyna-4 wheel tractor. Spare Parts Catalog. 4601121 MF 5435 Tier 2 Dyna-4 MASSEY FERGUSON MF 5435 Tier 2 Dyna-4 wheel tractor. Spare Parts Catalog. 4601122 MF 5435 Tier 3 MASSEY FERGUSON MF 5435 Tier 3 wheel tractor. Spare Parts Catalog. 4601123 MF 5440 MASSEY FERGUSON MF 5440 wheel tractor. Spare Parts Catalog. 4601124 MF 5440 Tier 3 MASSEY FERGUSON MF 5440 Tier 3 wheel tractor. Spare Parts Catalog. 4601125 MF 5445 MASSEY FERGUSON MF 5445 wheel tractor. Spare Parts Catalog. 4601126 MF 5445 Dyna-4 MASSEY FERGUSON MF 5445 Dyna-4 wheel tractor. Spare Parts Catalog. 4601127 MF 5445 Tier 2 Dyna-4 MASSEY FERGUSON MF 5445 Tier 2 Dyna-4 wheel tractor. Spare Parts Catalog. 4601128 MF 5445 Tier 3 MASSEY FERGUSON MF 5445 Tier 3 wheel tractor. Spare Parts Catalog. 4601129 MF 5450 MASSEY FERGUSON MF 5450 wheel tractor. Spare Parts Catalog. 4601130 MF 5450 Tier 3 MASSEY FERGUSON MF 5450 Tier 3 wheel tractor. Spare Parts Catalog. 4601131 MF 5455 MASSEY FERGUSON MF 5455 wheel tractor. Spare Parts Catalog. 4601132 MF 5455 Dyna-4 MASSEY FERGUSON MF 5455 Dyna-4 wheel tractor. Spare Parts Catalog. 4601133 MF 5455 Tier 2 Dyna-4 MASSEY FERGUSON MF 5455 Tier 2 Dyna-4 wheel tractor. Spare Parts Catalog. 4601134 MF 5455 Tier 3 MASSEY FERGUSON MF 5455 Tier 3 wheel tractor. Spare Parts Catalog. 4601135 MF 5460 MASSEY FERGUSON MF 5460 wheel tractor. Spare Parts Catalog. 4601136 MF 5460 Dyna-4 MASSEY FERGUSON MF 5460 Dyna-4 wheel tractor. Spare Parts Catalog. 4601137 MF 5460 SA MASSEY FERGUSON MF 5460 SA wheel tractor. Spare Parts Catalog. 4601138 MF 5460 Tier 2 Dyna-4 MASSEY FERGUSON MF 5460 Tier 2 Dyna-4 wheel tractor. Spare Parts Catalog. 4601139 MF 5460 Tier 3 MASSEY FERGUSON MF 5460 Tier 3 wheel tractor. Spare Parts Catalog. 4601140 MF 5465 MASSEY FERGUSON MF 5465 wheel tractor. Spare Parts Catalog. 4601141 MF 5465 Dyna-4 MASSEY FERGUSON MF 5465 Dyna-4 wheel tractor. Spare Parts Catalog. 4601142 MF 5465 Tier 2 Dyna-4 MASSEY FERGUSON MF 5465 Tier 2 Dyna-4 wheel tractor. Spare Parts Catalog. 4601143 MF 5465 Tier 3 MASSEY FERGUSON MF 5465 Tier 3 wheel tractor. Spare Parts Catalog. 4601144 MF 5470 MASSEY FERGUSON MF 5470 wheel tractor. Spare Parts Catalog. 4601145 MF 5470 Dyna-4 MASSEY FERGUSON MF 5470 Dyna-4 wheel tractor. Spare Parts Catalog. 4601146 MF 5470 SA MASSEY FERGUSON MF 5470 SA wheel tractor. Spare Parts Catalog. 4601147 MF 5470 Tier 2 Dyna-4 MASSEY FERGUSON MF 5470 Tier 2 Dyna-4 wheel tractor. Spare Parts Catalog. 4601148 MF 5470 Tier 3 MASSEY FERGUSON MF 5470 Tier 3 wheel tractor. Spare Parts Catalog. 4601149 MF 5475 MASSEY FERGUSON MF 5475 wheel tractor. Spare Parts Catalog. 4601150 MF 5475 Dyna-4 MASSEY FERGUSON MF 5475 Dyna-4 wheel tractor. Spare Parts Catalog. 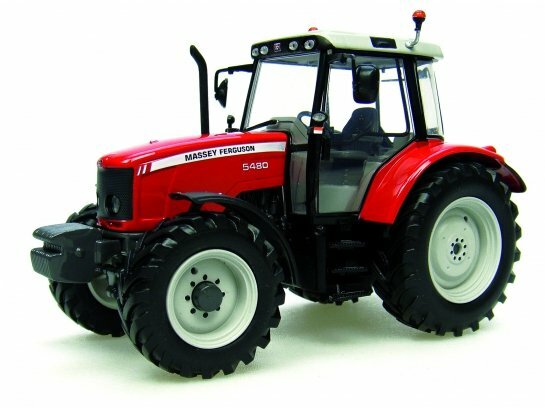 4601151 MF 5475 SA MASSEY FERGUSON MF 5475 SA wheel tractor. Spare Parts Catalog. 4601152 MF 5475 Tier 3 MASSEY FERGUSON MF 5475 Tier 3 wheel tractor. Spare Parts Catalog. 4601153 MF 5480 Dyna-4 MASSEY FERGUSON MF 5480 Dyna-4 wheel tractor. Spare Parts Catalog. 4601154 MF 5480 Tier 3 MASSEY FERGUSON MF 5480 Tier 3 wheel tractor. Spare Parts Catalog. 4601155 MF 5608 MASSEY FERGUSON MF 5608 wheel tractor. Spare Parts Catalog. 4601156 MF 5608 Dyna-4 MASSEY FERGUSON MF 5608 Dyna-4 wheel tractor. Spare Parts Catalog. 4601157 MF 5608 Dyna-4 Datatronic MASSEY FERGUSON MF 5608 Dyna-4 Datatronic wheel tractor. Spare Parts Catalog. 4601158 MF 5609 MASSEY FERGUSON MF 5609 wheel tractor. Spare Parts Catalog. 4601159 MF 5609 Dyna-4 MASSEY FERGUSON MF 5609 Dyna-4 wheel tractor. Spare Parts Catalog. 4601160 MF 5609 Dyna-4 Datatronic MASSEY FERGUSON MF 5609 Dyna-4 Datatronic wheel tractor. Spare Parts Catalog. 4601161 MF 5610 MASSEY FERGUSON MF 5610 wheel tractor. Spare Parts Catalog. 4601162 MF 5610 Dyna-4 MASSEY FERGUSON MF 5610 Dyna-4 wheel tractor. Spare Parts Catalog. 4601163 MF 5610 Dyna-4 Datatronic MASSEY FERGUSON MF 5610 Dyna-4 Datatronic wheel tractor. Spare Parts Catalog. 4601164 MF 5611 MASSEY FERGUSON MF 5611 wheel tractor. Spare Parts Catalog. 4601165 MF 5611 Dyna-4 MASSEY FERGUSON MF 5611 Dyna-4 wheel tractor. Spare Parts Catalog. 4601166 MF 5611 Dyna-4 Datatronic MASSEY FERGUSON MF 5611 Dyna-4 Datatronic wheel tractor. Spare Parts Catalog. 4601167 MF 5611 Dyna-6 MASSEY FERGUSON MF 5611 Dyna-6 wheel tractor. Spare Parts Catalog. 4601168 MF 5611 Dyna-6 Datatronic MASSEY FERGUSON MF 5611 Dyna-6 Datatronic wheel tractor. Spare Parts Catalog. 4601169 MF 5612 MASSEY FERGUSON MF 5612 wheel tractor. Spare Parts Catalog. 4601170 MF 5612 Dyna-4 MASSEY FERGUSON MF 5612 Dyna-4 wheel tractor. Spare Parts Catalog. 4601171 MF 5612 Dyna-4 Datatronic MASSEY FERGUSON MF 5612 Dyna-4 Datatronic wheel tractor. Spare Parts Catalog. 4601172 MF 5612 Dyna-6 MASSEY FERGUSON MF 5612 Dyna-6 wheel tractor. Spare Parts Catalog. 4601173 MF 5612 Dyna-6 Datatronic MASSEY FERGUSON MF 5612 Dyna-6 Datatronic wheel tractor. Spare Parts Catalog. 4601174 MF 5613 MASSEY FERGUSON MF 5613 wheel tractor. Spare Parts Catalog. 4601175 MF 5613 Dyna-4 MASSEY FERGUSON MF 5613 Dyna-4 wheel tractor. Spare Parts Catalog. 4601176 MF 5613 Dyna-6 MASSEY FERGUSON MF 5613 Dyna-6 wheel tractor. Spare Parts Catalog. 4601177 MF 5708 Tier 2 MASSEY FERGUSON MF 5708 Tier 2 wheel tractor. Spare Parts Catalog. 4601178 MF 5709 MASSEY FERGUSON MF 5709 wheel tractor. Spare Parts Catalog. 4601179 MF 5709 Tier 2 MASSEY FERGUSON MF 5709 Tier 2 wheel tractor. Spare Parts Catalog. 4601180 MF 5710 SL Dyna-4 MASSEY FERGUSON MF 5710 SL Dyna-4 wheel tractor. Spare Parts Catalog. 4601181 MF 5710 SL Dyna-6 MASSEY FERGUSON MF 5710 SL Dyna-6 wheel tractor. Spare Parts Catalog. 4601182 MF 5710 Tier 2 MASSEY FERGUSON MF 5710 Tier 2 wheel tractor. Spare Parts Catalog. 4601183 MF 5710 Tier 2-4F MASSEY FERGUSON MF 5710 Tier 2-4F wheel tractor. Spare Parts Catalog. 4601184 MF 5711 MASSEY FERGUSON MF 5711 wheel tractor. Spare Parts Catalog. 4601185 MF 5711 SL Dyna-4 MASSEY FERGUSON MF 5711 SL Dyna-4 wheel tractor. Spare Parts Catalog. 4601186 MF 5711 SL Dyna-4 / Dyna-6 Datatronic MASSEY FERGUSON MF 5711 SL Dyna-4 / Dyna-6 Datatronic wheel tractor. Spare Parts Catalog. 4601187 MF 5711 SL Dyna-6 MASSEY FERGUSON MF 5711 SL Dyna-6 wheel tractor. Spare Parts Catalog. 4601188 MF 5712 SL Dyna-4 MASSEY FERGUSON MF 5712 SL Dyna-4 wheel tractor. Spare Parts Catalog. 4601189 MF 5712 SL Dyna-4 / Dyna-6 Datatronic MASSEY FERGUSON MF 5712 SL Dyna-4 / Dyna-6 Datatronic wheel tractor. Spare Parts Catalog. 4601190 MF 5712 SL Dyna-6 MASSEY FERGUSON MF 5712 SL Dyna-6 wheel tractor. Spare Parts Catalog. 4601191 MF 5713 SL Dyna-4 MASSEY FERGUSON MF 5713 SL Dyna-4 wheel tractor. Spare Parts Catalog. 4601192 MF 5713 SL Dyna-4 / Dyna-6 Datatronic MASSEY FERGUSON MF 5713 SL Dyna-4 / Dyna-6 Datatronic wheel tractor. Spare Parts Catalog. 4601193 MF 5713 SL Dyna-6 MASSEY FERGUSON MF 5713 SL Dyna-6 wheel tractor. Spare Parts Catalog.